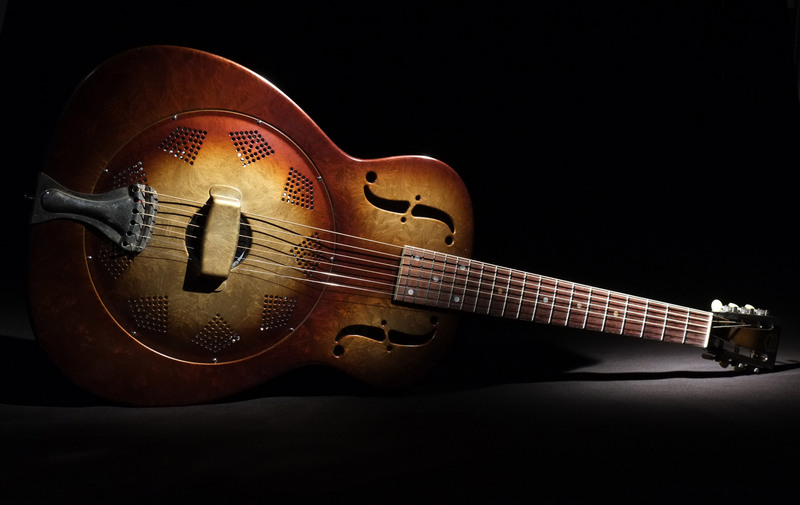 This is a 1935, all steel, Triolian body with a steel coverplate. 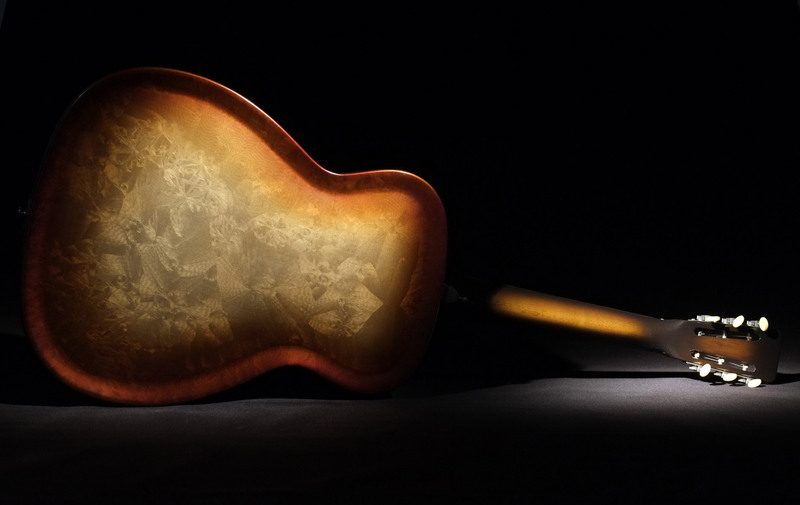 It has its original neck, which has been refinished, and the original fretboard. The cone and tailpiece are original also. The tuners are Stew-Mac replacements. 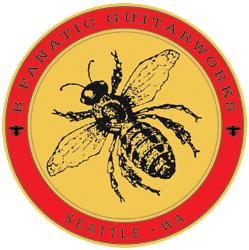 This guitar has a new style, B•Fanatic Guitarworks finish. This version of frosted duco finish is based on the original Walnut finish found on Triolians. I replaced the lighter color in the finish, which was usually a solid tan or yellow, with a gold crystalline finish. The dark burst adds a depth to the finish and still retains the subtle patterning of the crystals. From a distance it looks like a normal Walnut Burst Triolian finish. But that all changes when you get close.